What if our definition of success is all wrong? Endless productivity is not the answer. The planner used by NYT bestselling authors, thought leaders, and entrepreneurs around the world. You Want - A beautiful, personalized planner you will actually use that guarantees results. A system that is made for YOU, acknowledges your unique strengths, and makes you happy. You Need - A better way to create happy days, awareness of your habits, and true balance. You Desire - A proven way to unlock your unique genius. A simple way to accomplish your goals. You Get - Everything you want, need, and desire to achieve your goals with the EVO Planner. Personalized to your Brain Type™ - We have spent the past 3+ years working with the top psychologists to create this system. 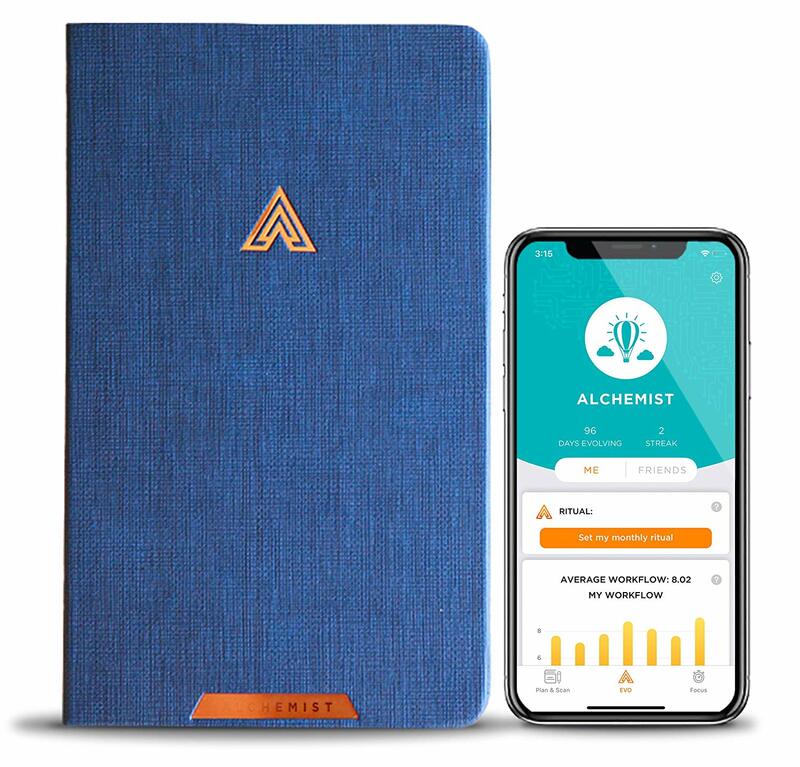 A planner, journal, agenda, with monthly, weekly, and daily pages designed specifically to help you find more focus, flow, and gratitude. Exceptionally Beautiful Design - It had to be world-class quality so we spared no expense on design. Copper-gilded pages, full-color throughout, and a personalized interior layout. Physical Meets Digital - Our free mobile app scans your planner pages and helps identify your patterns with intelligent data charts. Are you happier or more effective when you exercise? Does your flow take a dip when you skip your meditation? EVO will show you.